Chris McShane and Ralph Shaw are a match made in Penistone – the Yorkshire market town where they both grew up. They knew of each other way back when but it took till 2017 before finally playing music together. 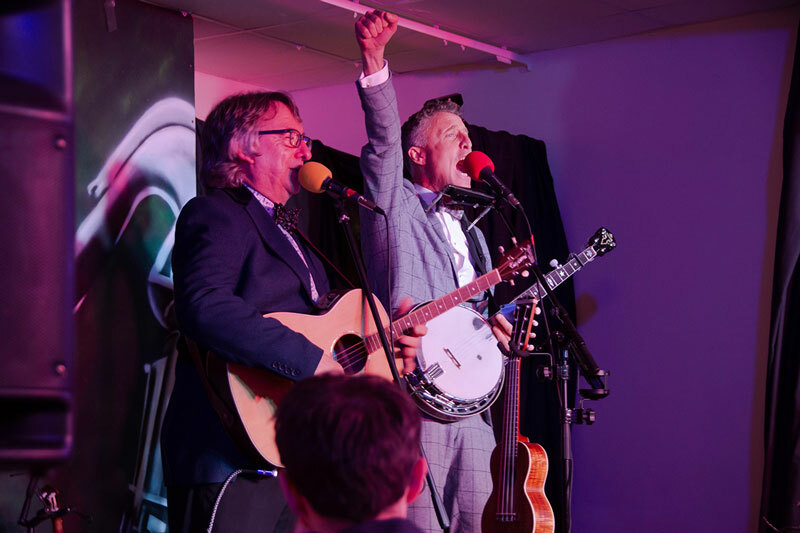 Ralph’s thirty year move to Vancouver Canada was a big part of that and since his return the two have teamed up to form the exciting duo sound of McShane and Shaw. We are finally blessed to see these two generous entertainers together for the first time creating feel-good experiences that brim with harmony, laughter, skilled musicianship and off the wall wit. Audiences are left beaming. Who are McShane & Shaw? 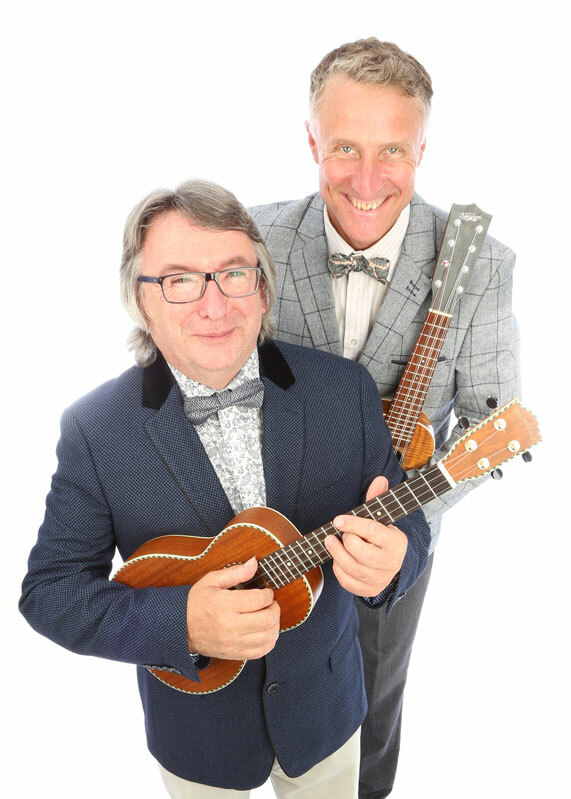 For a total of 25 years both men have been running ukulele clubs in their respective home towns of Vancouver, Canada and Penistone, UK. Their experience and knowledge shine through. 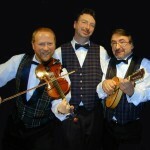 Chris McShane is a multi-instrumentalist with significant chops on ukulele, guitar, mandolin, bass guitar and tenor banjo. He is a qualified and experienced teacher as well as a composer and band member. 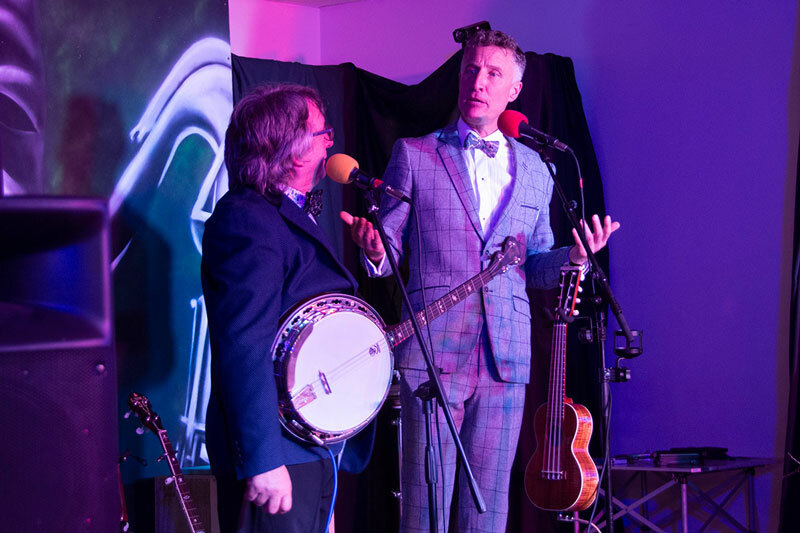 Chris is very active as a group facilitator of ukulele ensemble workshops but you’re just as likely to hear him playing various instruments in his band The Rhythm Chaps or calling the dances at a Ceilidh. Friendly, versatile and funny Chris McShane will have you smiling as you listen and learn. 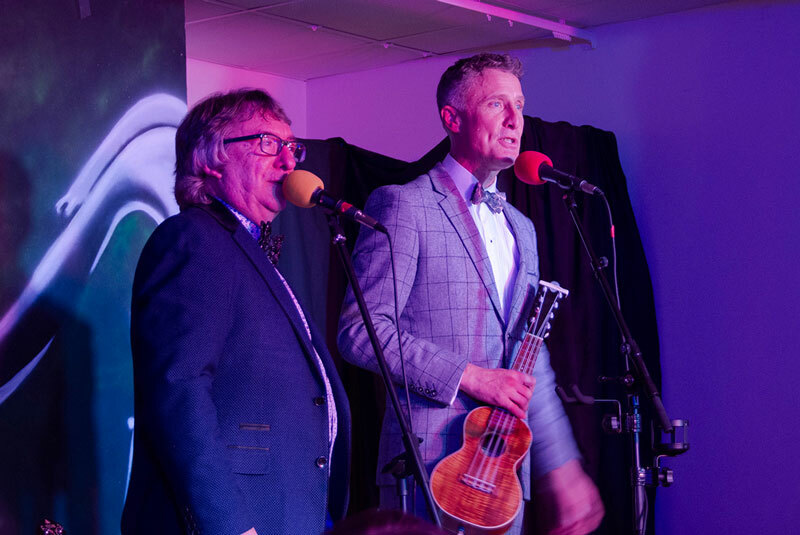 Ralph Shaw has been called Canada’s King of the Ukulele! He’s played the instrument since 1990 and is a forerunner of the current ukulele movement. 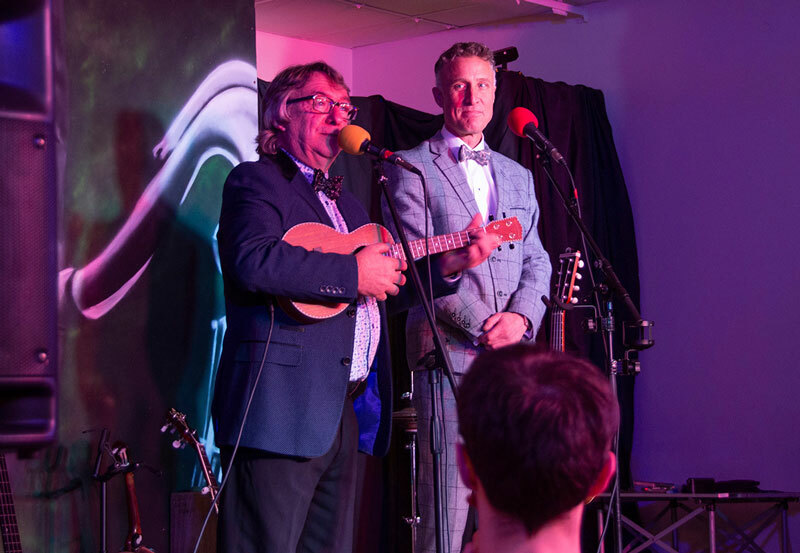 During that time he created the Complete Ukulele Course DVD series, has written original songs for 5 solo CDs and published 2 books – The Ukulele Entertainer and The Art of Ukulele – on the subjects of playing and performing. His years of touring to festivals and ukulele clubs throughout the USA, Canada and Australia have made him an international favourite. 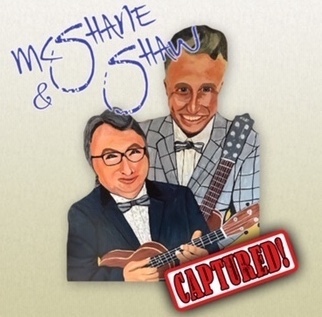 This is the first ever recording from McShane & Shaw. Recorded in one day and played live with no studio production or editing. PS, Thanks to everyone who came along to our first show in Thurgoland. We had a great time.